Lou R. Kling has extensive experience in mergers and acquisitions of public and private companies, subsidiaries and divisions, including negotiated and contested acquisitions, leveraged buyouts and recapitalizations. He also has represented borrowers, issuers, underwriters and lenders in a broad spectrum of financing transactions. 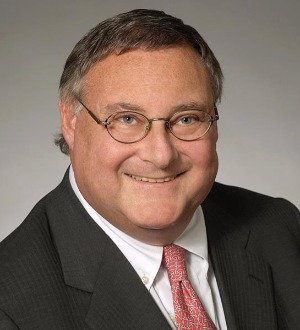 Mr. Kling is co-chair of the firm’s Opinion Committee and served from 2002-2013 as a member of the Policy Committee, the firm’s top governing body, and as chairman of the Financial Oversight and Audit Committee. He is a co-author of a leading treatise on acquisitions, Negotiated Acquisitions of Companies, Subsidiaries and Divisions, and an adjunct professor of law at the University of Virginia and Cornell University. Mr. Kling has advised financial advisors in significant transactions, including Credit Suisse, Goldman Sachs, Merrill Lynch, Morgan Stanley and Wasserstein Perella. He also has represented issuers and underwriters in financings aggregating in the tens of billions of dollars. In addition, he helped pioneer the use of exchange offers in lieu of shelf registrations following private placements, as well as the development of the structures currently used in debt tender offers coupled with consent solicitations. Mr. Kling has participated in numerous seminars and lectured on mergers and acquisitions and related topics before various audiences, including “in-house” groups at Morgan Stanley, Merrill Lynch, Credit Suisse, Bear Stearns and Wasserstein Perella. Mr. Kling has been included in Euromoney’s listing of the leading M&A lawyers in the world and repeatedly has been recognized as a “leading lawyer” in corporate and M&A transactions by Chambers Global and Chambers USA, where he is one of a small number of attorneys ranked in the top tier in New York. He also has been listed inThe Best Lawyers in America, The Legal 500 U.S., Lawdragon 500 Leading Lawyers in America, IFLR1000 and Who’s Who Legal – M&A.